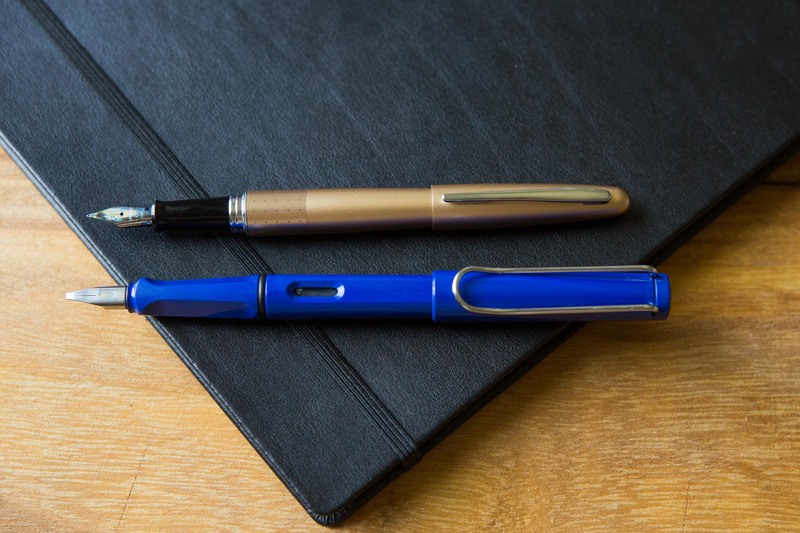 We often get asked to compare different fountain pens especially across price points. We’re all curious if the higher price tag is worth it? So we wanted to delve a little deeper on that. 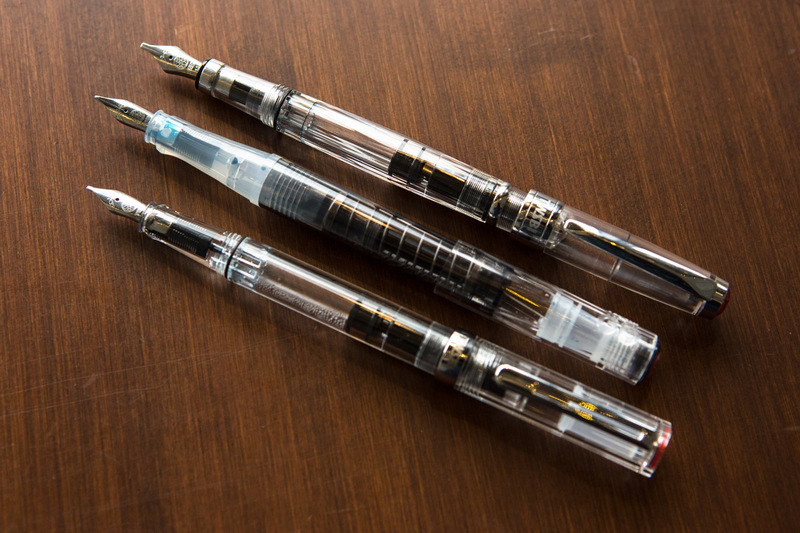 We’re looking at 3 different pens; one that is around $10, one that’s $800, and lastly one that costs a whopping $2,800! 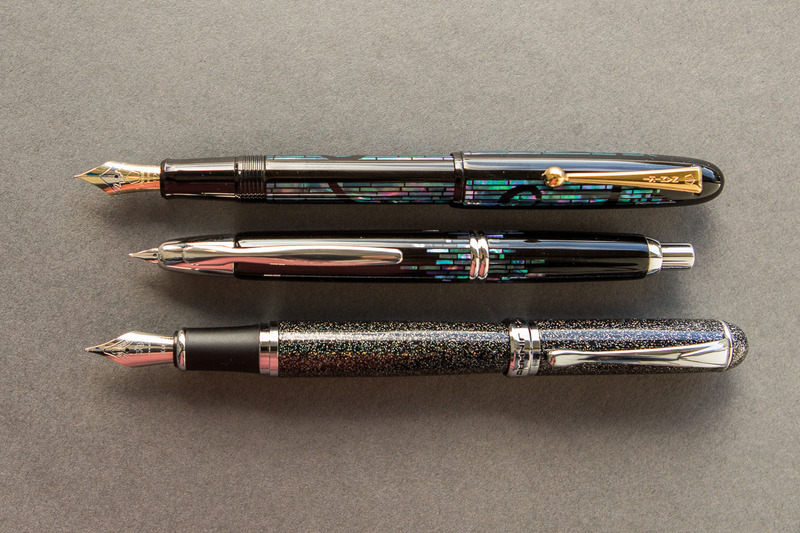 Each of these pens has a unique shimmering aspect to them as well. First up is the Jinhao x750 Shimmering Sands! This pen features a steel nib, medium only. It’s a reliable writer and good value at $10. 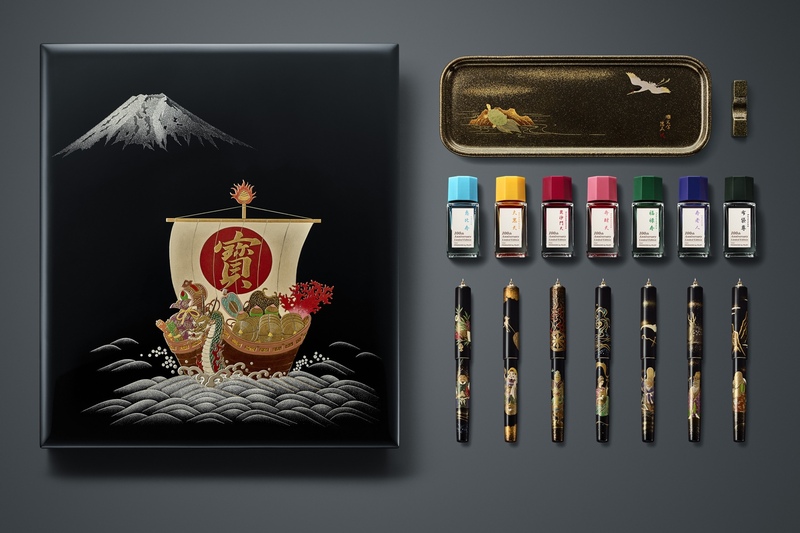 The pen itself is made in China, but little is known about the process or the people behind it. There’s no exotic materials, just a glittery and sparkly pen! 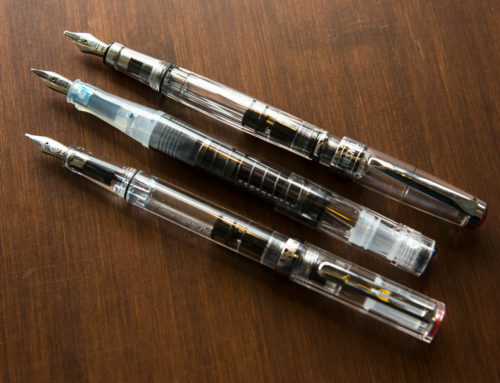 This particular pen is popular because the nib is #6 sized, so you can swap on a variety of nibs (like our Goulet nibs, or even upgrade it to a gold nib from Edison). The packaging is pretty bare-bones though, with no box for the pen. Next up, we take the big leap into the $800 MSRP range with the Pilot Vanishing Point Raden Stripe. It comes with an 18kt gold nib with a medium nib, but there are separate nib units available as well. In terms of writing experience, it’s a step up as you move to a gold nib from Pilot. 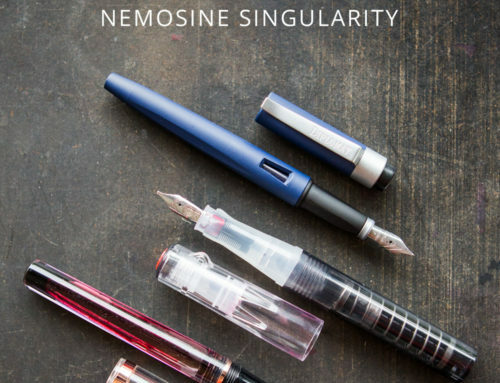 Like other Vanishing Points, this does feature a retractable click nib that is still a pretty unique feature in this fountain pen world! The main price difference between this version and other Vanishing Pointss is due to the Raden. It’s abalone shell crushed, hand placed, and sealed with Urushi lacquer by artisans that train in the Maki-e technique for years to do this. The increased cost is due largely to the cost of the materials and time it takes to produce. 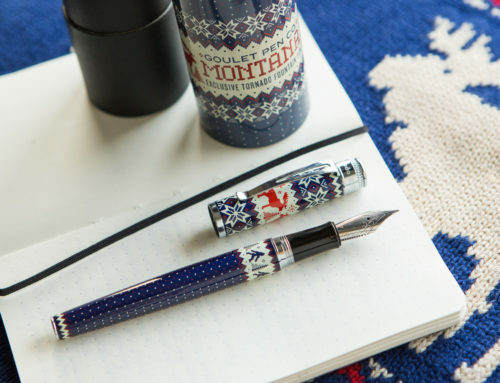 Lastly, the Namiki Yukari Nightline Moonlight checks in at $2,800 MSRP. It features a larger (#10) 18kt gold nib, and writes like a dream! 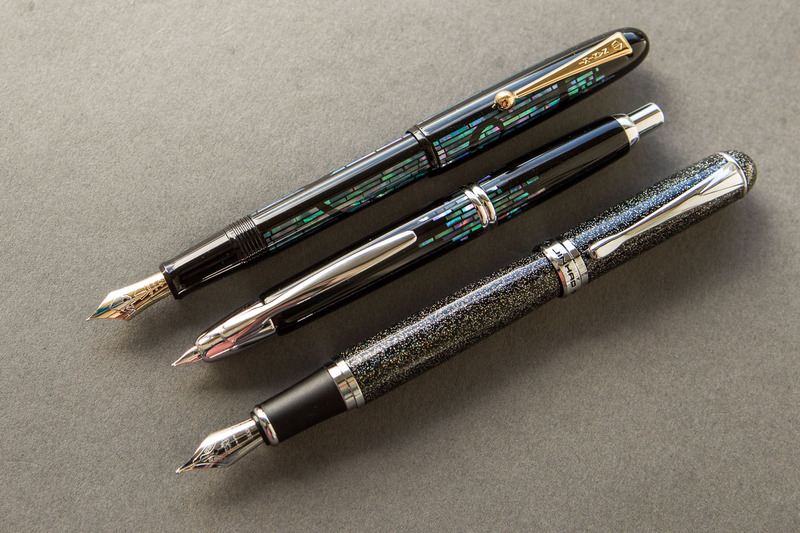 The design is similar to the Vanishing Point Raden, but expands upon that with more abalone shell and a more intricate design that can vary slightly from pen to pen. The price tag is what it is again due to the amount of abalone shell and more time involved in manufacturing. Also, factor in that these fountain pens aren’t mass produced, so scarcity does feed into the price. 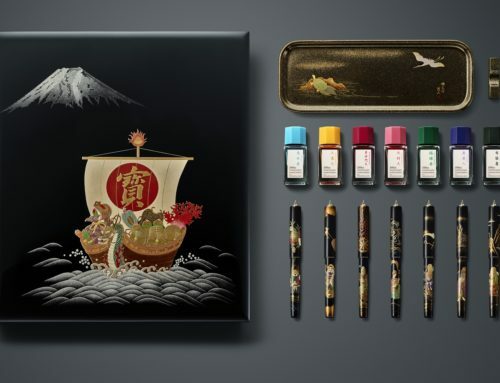 Beyond the pen, the packaging is part of the experience with a real wooden box which also contains a bottle of Pilot Namiki ink! 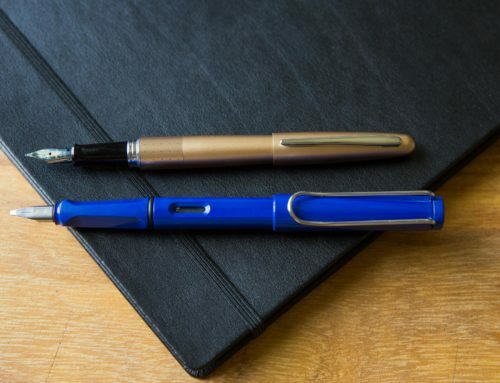 No matter which pen you consider, each can be justified in its own right; from a great starter pen with the Jinhao x750, to an everyday writer with the Pilot Vanishing Point Raden, to a collector’s item in the Namiki. They are all fantastic pens in their own right! Let us know what you think! 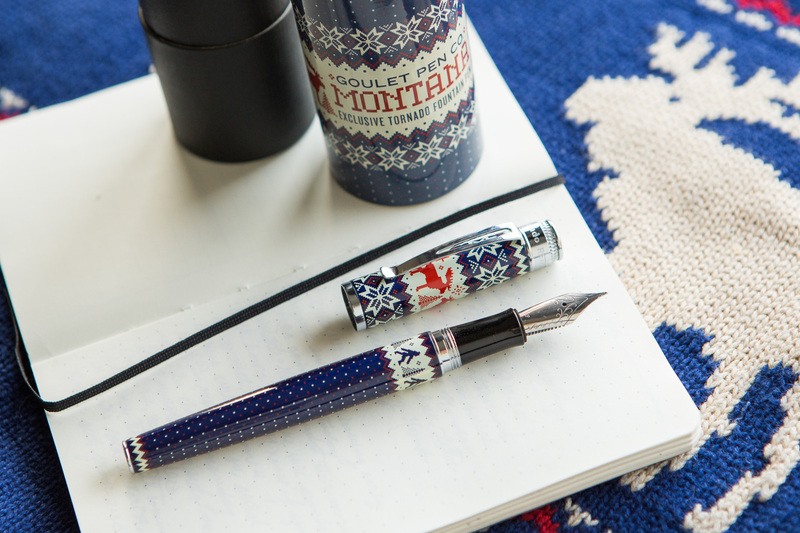 Is the Namiki Yukari Nightline Moonlight worth it to you? 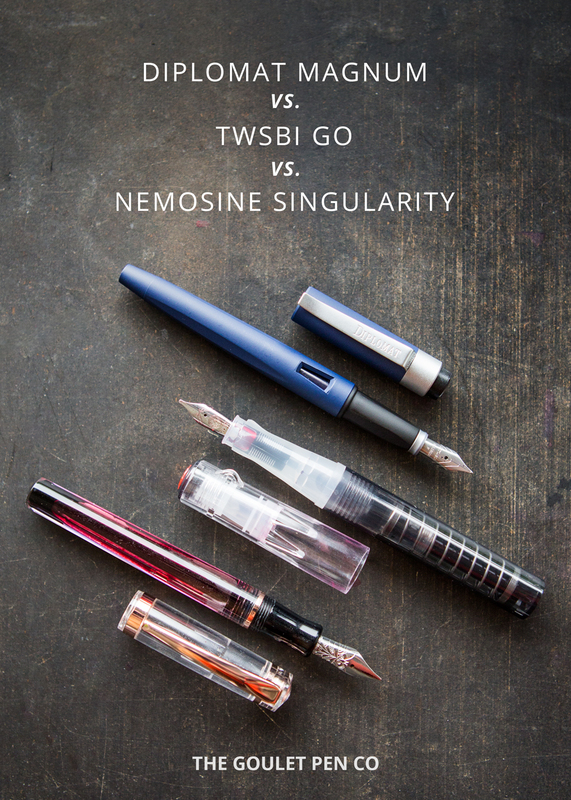 Do you have other pen comparisons you want to see? Let us know in the comments below! Subscribe to our email newsletter and get 10% off your next order!